Multiple Authors • $11.95 • 10 articles • Item # SR 171 Get 10 of our best and most popular training articles and presented so you can start your program now! This kit focuses on kicking performance. Includes an index of articles and how you can use it to establish your program. There are two factors that can achieve kicking performance beyond developing kicking skills; proper conditioning which can contribute to the ability to generate force against the ground by the plant leg which transfers to greater swing (lower) leg velocity and the prevention of injury. Other factors of improved kicking performance include: rigid foot on impact, correct body alignment, timing and proper follow-through. Selected resistance training exercises that are ground based (where the athlete must push off the ground to perform the exercise) can increase kicking power. Once basic strength has been acquired that explosive plyometric training can be introduced to improve ground reaction time. This kit shows you how. Index 1. Soccer Medicine and Science- Kicking Considerations for the Soccer Player This article lays the foundation on kicking performance by providing science based facts on kicking specific to soccer. 2. Soccer Medicine and Science - Groin Injuries Here’s a comprehensive look at the common soccer injuries to this area of the body. 3. Preventing Athletic Pubalgia and Chronic Groin Pain in the Soccer Player 4.Soccer Hip Impingement as it Relates to Postural Restoration: Management Considerations, Our last injury prevention provides exercises to insure proper function on the hip as it relates to kicking. 5. Making Soccer Sport Science Work for You: Biomechanics of Kicking with Practical Exercises to Improve Performance This program combines kicking mechanics and practical exercises to start a basic program. 6. Soccer Player's Guide--How to Kick with More Power! This article provides a total kicking program from element in striking the ball to on-field exercises. 7. Specialty Exercises to Improve Kicking Power These specialty exercises can be implemented as part of a total program. 8. General Preparation Circuit-Combining Core and Leg Development for TRUE Functional Training Combining core and leg strength transfer to solid plant foot stability. Here are exercises you can use. 9. Plyometrics For Soccer Plyometrics training diminishes ground contact time critical to kicking power. Here are the basics. 10. 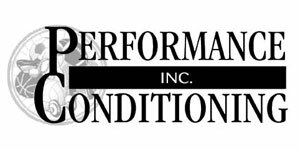 Correct Body Mechanics BEFORE Correct Techniques: What You Need to Know Before Starting a Strength Program This article provides the basis of strength training techniques to start your program off right.